When asked about his secret to hitting, Hall of Fame legend 'Wee' Willie Keeler responded simply, "I hit 'em where they ain't!" 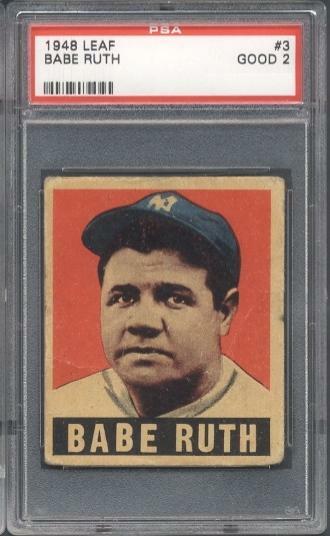 Here, at WhereTheyAint.com, we strive for the same easy approach to online shopping for sportscards and memorabilia. With the largest set of listings on the web, we are your first and last resort to find the cards and memorabilia you need! Click here to purchase! "The guys at WhereTheyAint are an asset to the card industry. I recently completed a large transaction with them and they went out of their way to make the transaction both smooth and convenient. I highly recommend Ben." "Benjamin puts his experience, talent and integrity where his mouth is. He finds the tough cards -- and his communication is outstanding. This is my 30th year in the sportscard industry and Where They Aint is on my short list of dependable, honest and credible dealers. Buy with confidence...I know I will again!" "Ben is a quality guy and I have found the cards I have purchased from him to be of high quality and reasonably priced. He is very accomodating and works hard to satisfy a client from search to delivery. You can buy with confidence from WhereTheyAint.com"
With over 35 years of combined experience, our reputation is well-known throughout the industry. 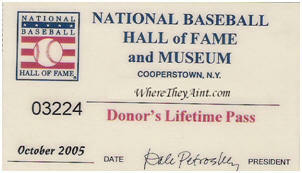 In 2005, after donating a rare item from our personal collection, the National Baseball Hall of Fame honored us as Lifetime Members! 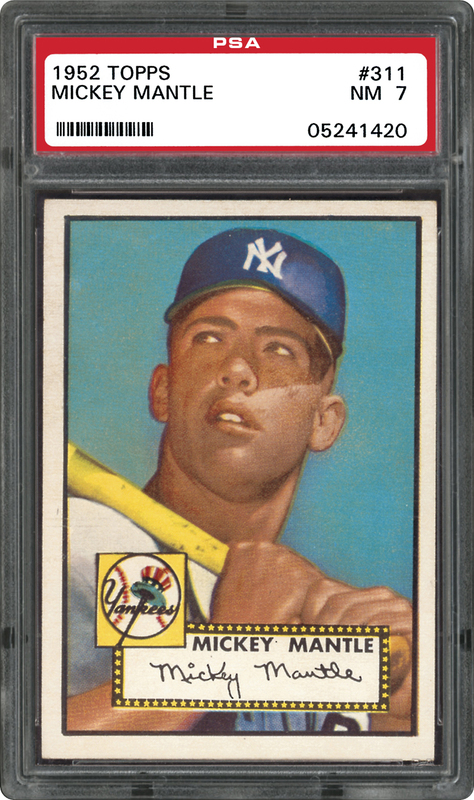 With a 100% satisfaction guarantee, you can feel secure buying a piece of history from the place for the best sports cards and genuine memorabilia on the web! Click here to purchase! We add new trading card items all the time so you may want to bookmark the WhereTheyAint.com site to your favorites list or add a link to our site on your home page. Want to sell your collection? WhereTheyAint.com can help. We will accept your cards on a consignment basis. What is consignment?? What this means is that you would send your cards to us. We would grade them and give you an estimate of what we think we can sell them for. You can set a minimum value that you would accept for any given card. We then try to sell the cards for you, at or above your minimum price. Our Reputation is well-known throughout the industry for regularly achieving the highest prices for our clientele. We possess PERFECT positive feedback on eBay and have numerous contacts throughout the country. We believe in developing long term relationships where it makes sense for our clients to consign to us on an ongoing basis. 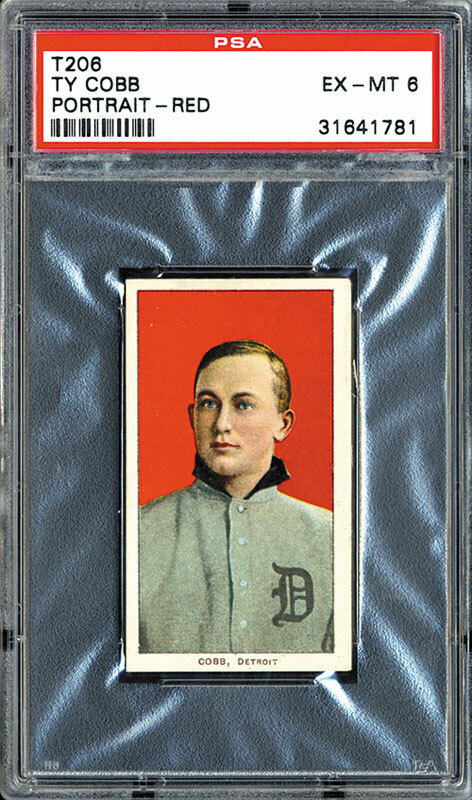 We will help you achieve TOP DOLLAR for your collection in an easy, timely fashion. After a Successful Sale, WhereTheyAint.com keeps 15% of the sale price as our consignment fee after expenses. A percentage of the final sale is in your best interest because it creates an incentive for us to get the best price that we can for your collection. If you would like to consign your collection to us, or if you have questions about our consignment program, please send us an email. CLICK HERE FOR OUR FEATURED SECTION!! !